Yeah. I’ve got some work to do. So, I rolled it back over and got started. let’s just say I started more than I finished. I repaired the area the oarlocks will mount to, and got the homemade oarlocks ready to mount. I’ll cover these in another post once i get them on, bit i’m happy with how they turned out. 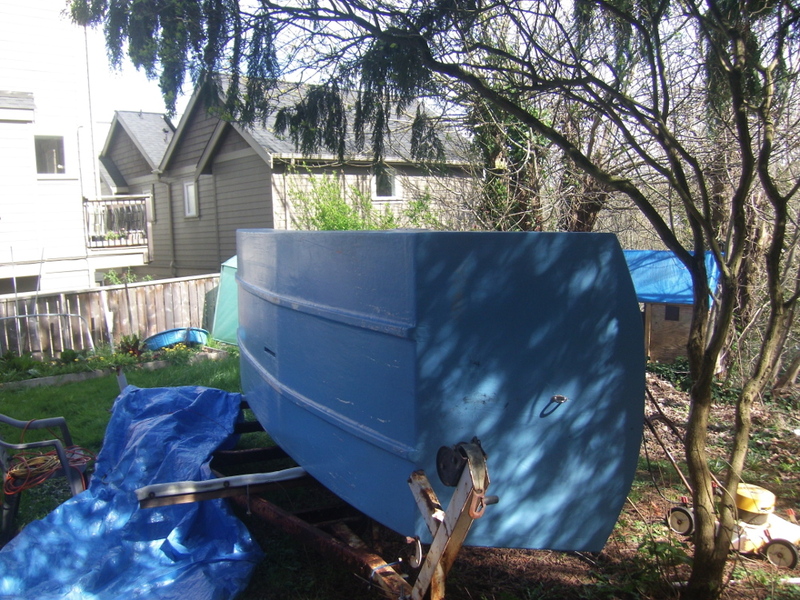 I removed one of the leaky hatches and started looking at that job. 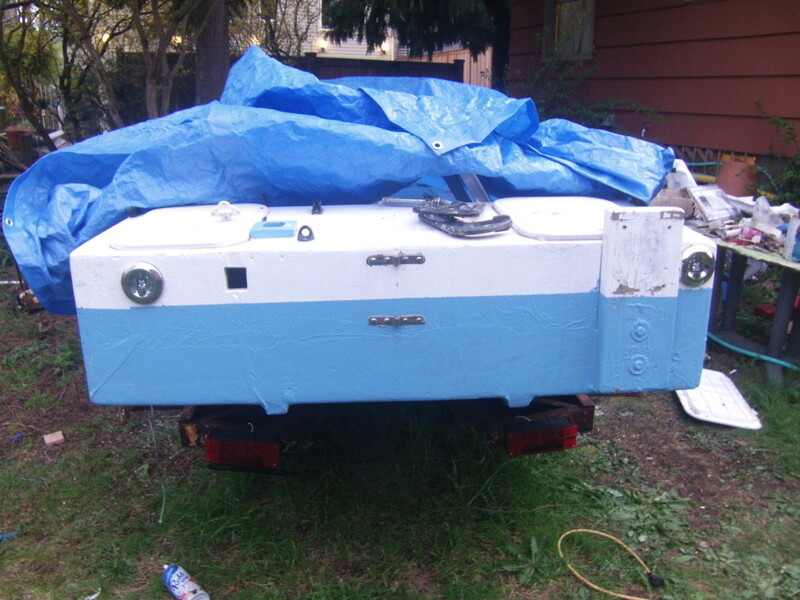 However, I made some really good progress on the waterproof electrical system. 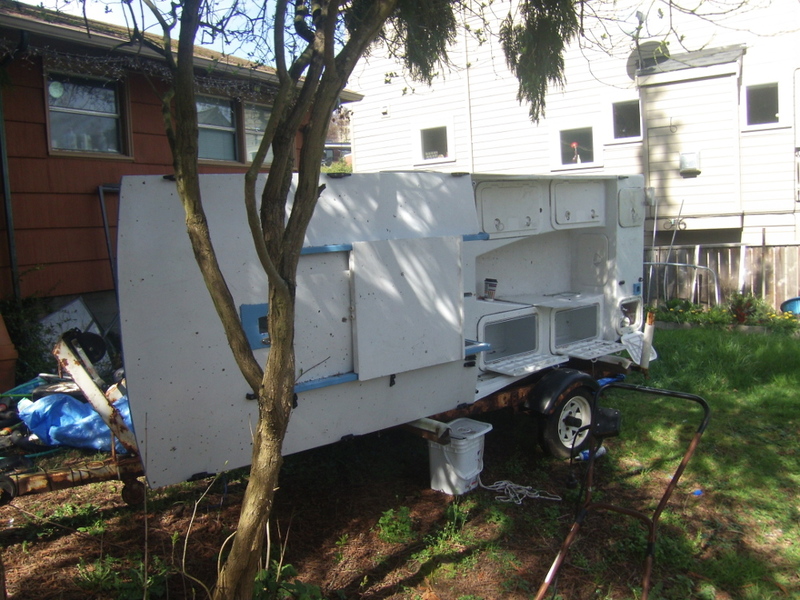 I managed to get about half of it installed, consisting of the running lights, the breaker panel, and the wiring for the dewatering pump. First, the breaker panel. I ended up going with a Sea-Dog 6-gang panel. 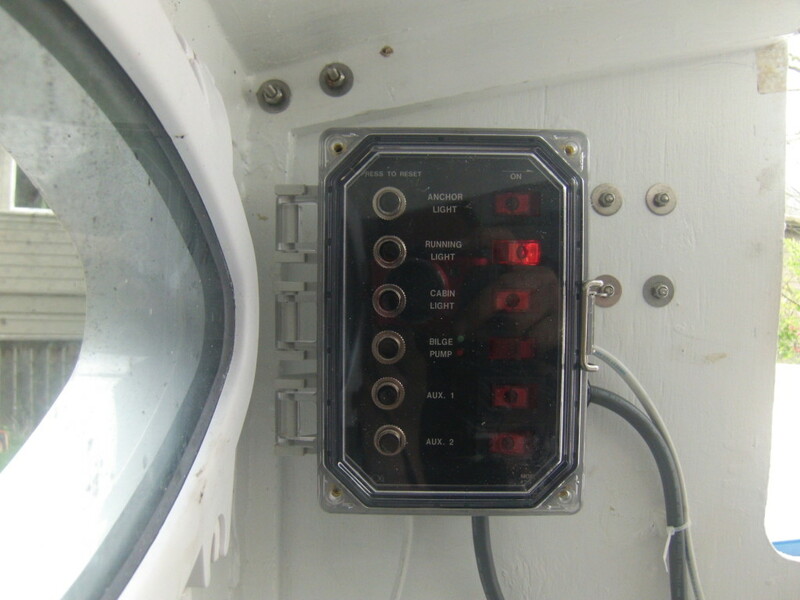 This, I trimmed down, and reconfigured so that the bilge pump switch has a three position switch with on, off, and automatic operation, and indicator lights for the mode it is in. 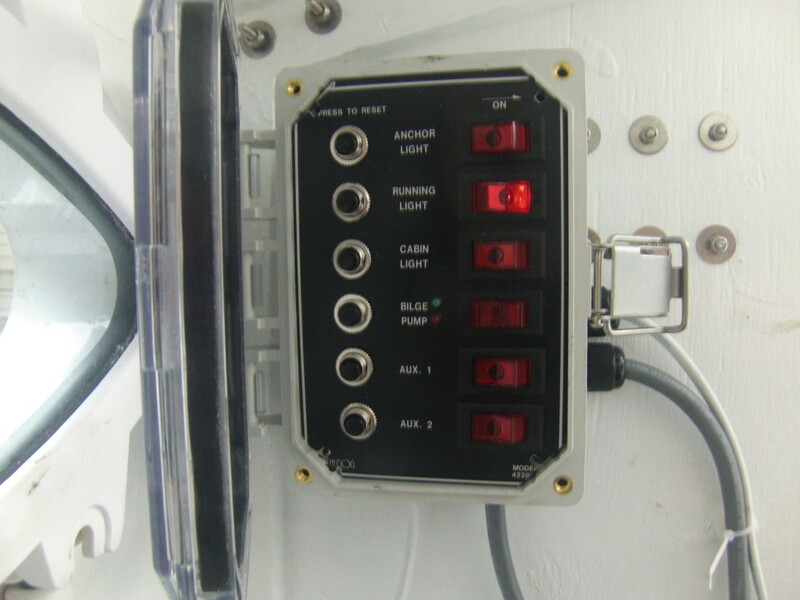 This then got installed in a NEMA-rated industrial enclosure from Polycase. It all came together nicely. This shot demonstrates one of the really nice features of this- it can be closed and sealed, and you can tell at a glance what is on and off. 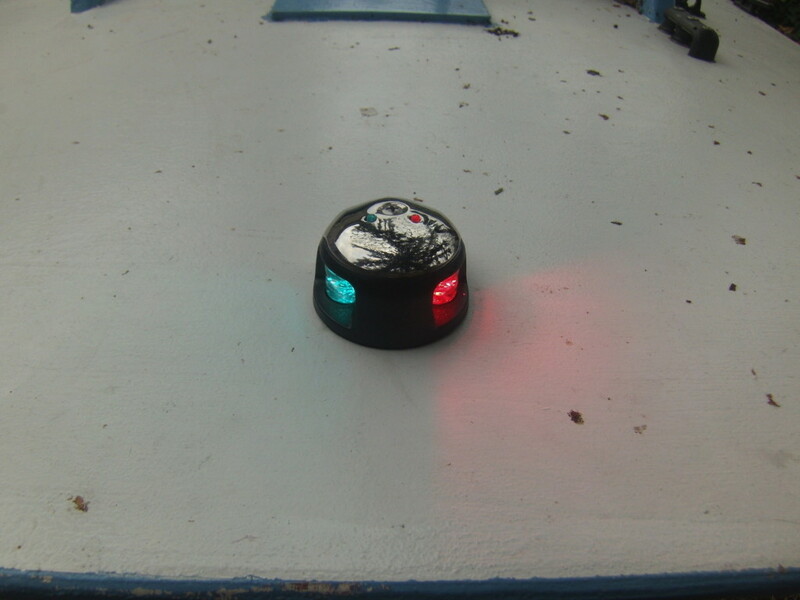 If you look closely you can see the small red and green LED’s right next to where it says ‘BILGE PUMP’ that are the indicators for if it is on or on automatic mode. This enclosure is rated for IP66 with the latch, and IP68 if you screw the lid on. I’ve got a set of four knobs that I plan to attach to it via small fishing line leaders so if things get rough then you can use them to dog down the cover to seal it up tight. here’s a shot with the cover open. This breaker panel has enough slots to allow for expansion without being overkill. Lower on the priority list, but a possibility is to add a cabin reading light, and a horn. Less for R2AK, and more so my wife has a reading light for when we go out together and because I think a big, loud horn would be fun to have. 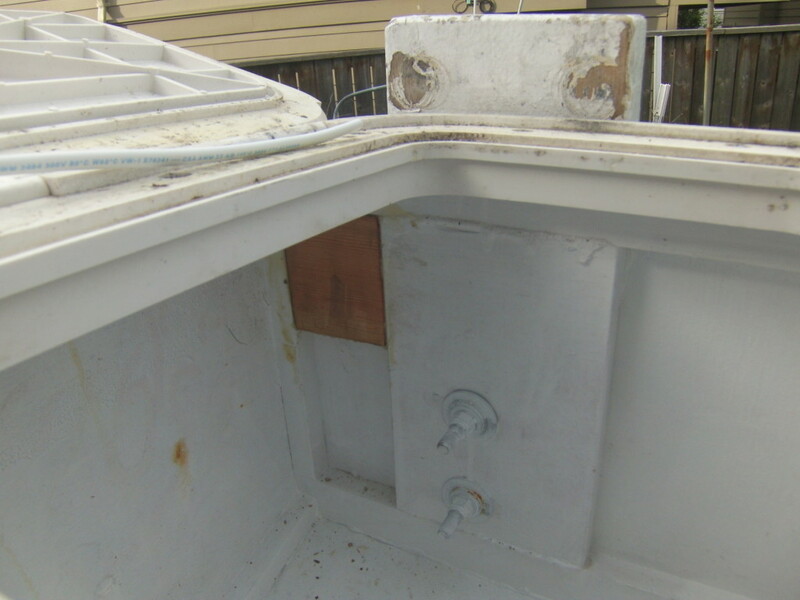 I probably will never put a masthead light on this boat; it’s just too troublesome hooking it up. maybe if i make that hollow mast I’m contemplating I will readdress that. 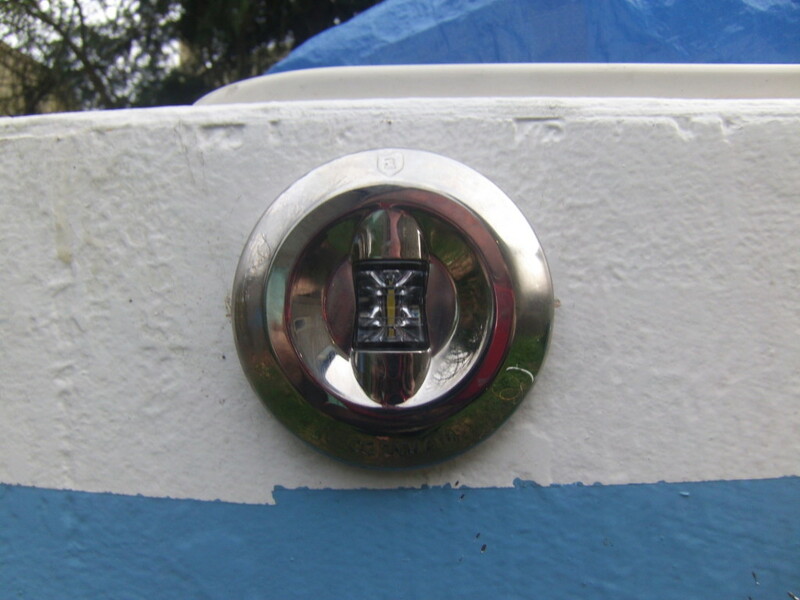 Till then, a camping light run up the flag halyard is my mast head light. It’s a great little unit. smooth, rounded, nothing to foul lines. Again, a great little unit. surface mounts, only needs holes for the wires and the screws. Because of the lenses, it has a wide, flat pattern. These things are BRIGHT. Installation was a little tricky; the interior framing was sort of in the way, so I added in some wood to make the transom a consistent thickness. You may ask, why two? 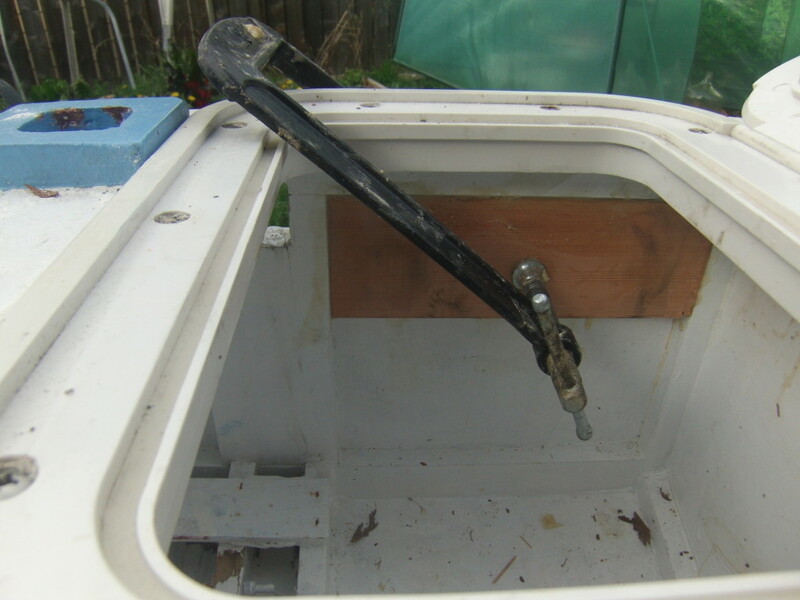 Well, the mizenbumpkin, rudder, and outboard clutter up the stern; There really isn’t a good place to place a single one to be viewable from the required angles.